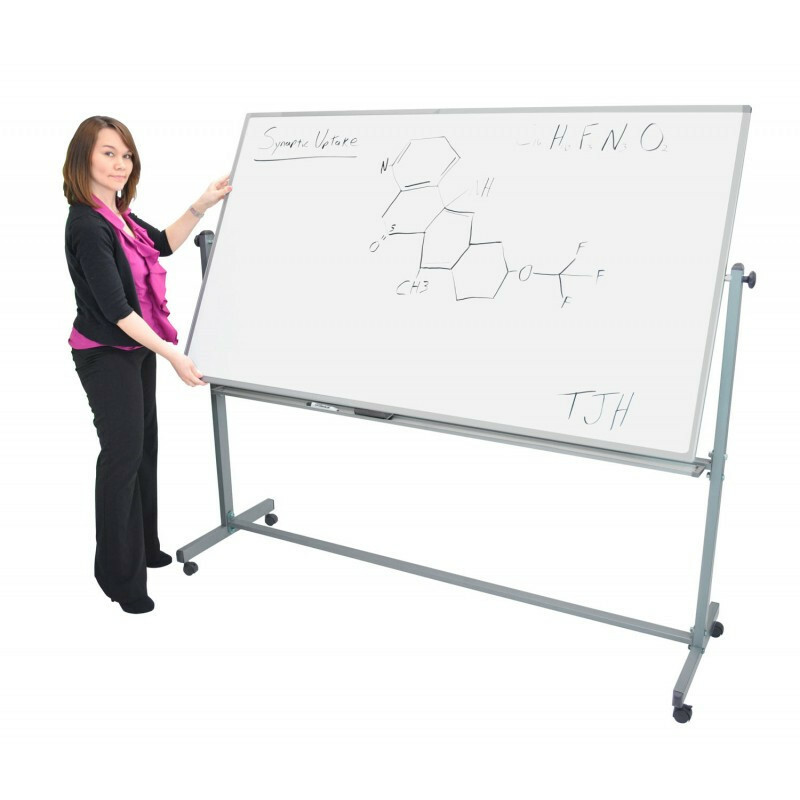 Whether it be for businesses, conference rooms, home offices or classrooms, the Offex Mobile Dry Erase Whiteboard is the BEST CHOICE in whiteboards! 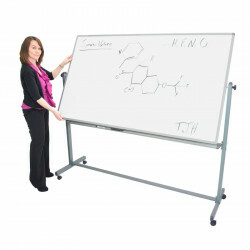 The high quality steel frame supports a generous (40" high x 72" wide) writing surface that is fully magnetic, wipes clean without any ghosting, and flips to the reverse side with the simple touch of a button! The stand rolls smoothly from room to room on four 2" casters that include interlocking brakes, ensuring superior steadiness during presentations. 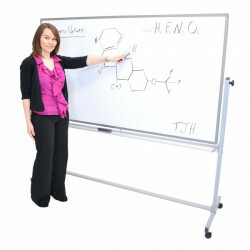 Stylish, professional, compact and versatile, this is the whiteboard that suites every need! Sold as 2 Pack.